According to this report, this past January, an American woman named Kate Mazzochetti was allowed entrance into the Russian Federation Embassy, in London, to apply for a visa to enter Russia to attend the 2018 FISA World Cup games—but whose visa was denied after FSB counterintelligence “electronic measures” showed her having met, during her time in Britain, with former MI6 operative Christopher Steele—whom newly released documents in the United States show him having still provided the FBI with documents after they had fired him, to include Steele’s passing to the FBI “junk documents” at least 12 times after President Trump was elected. 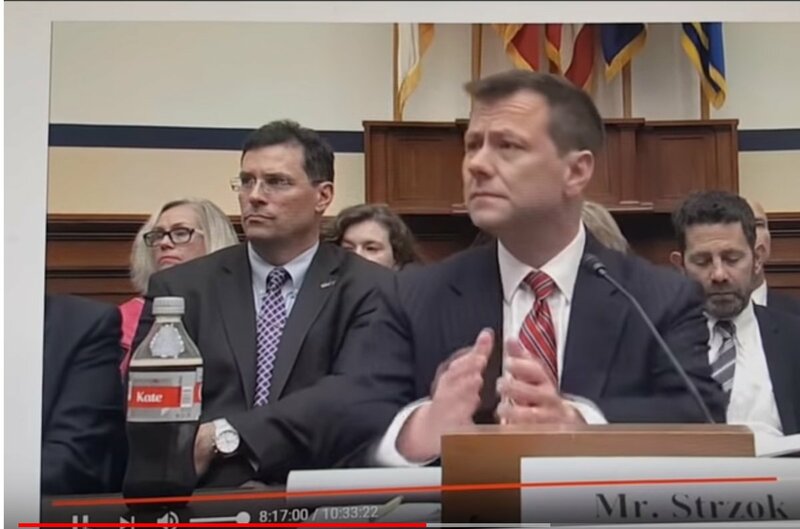 Overseeing the “Deep State” plot to overthrow President Trump, this report continues, was FBI Deputy Assistant Director of the Counterintelligence Division Peter Strzok, who had met with MI6 operative Christopher Steele in London—and about whom FSB analysts became “more then concerned” when, on 12 July, Strzok testified in public in a US Congress hearing prominently displaying before him a Coke soda bottle mysteriously emblazoned with the word “Kate”. While FBI Counterintelligence Chief Peter Strzok was testifying before the US Congress, on 12 July, this report details, FSB analysts began a database search as to the possible meaning of why he was so prominently displaying the word “Kate”—with the “linkage results” displaying the name of the American woman Kate Mazzochetti who had been denied a visa to enter Russia due to her association with MI6 operative Christopher Steele—whom Strzok had overseen as part of the “Deep State” plot to bring down President Trump. Upon this suspected linkage of Kate Mazzochetti with FBI Counterintelligence Chief Peter Strzok, this report says, the FSB raised her classification level to the highest level “Of Special Importance”—that was further justified when FSB analysts discovered that she was now describing herself as a “Q Patriot”—that is a group of pro-Trump supporters following the cryptic postings of a believed to be deep cover US intelligence operative, or group, known as Q-Anon. 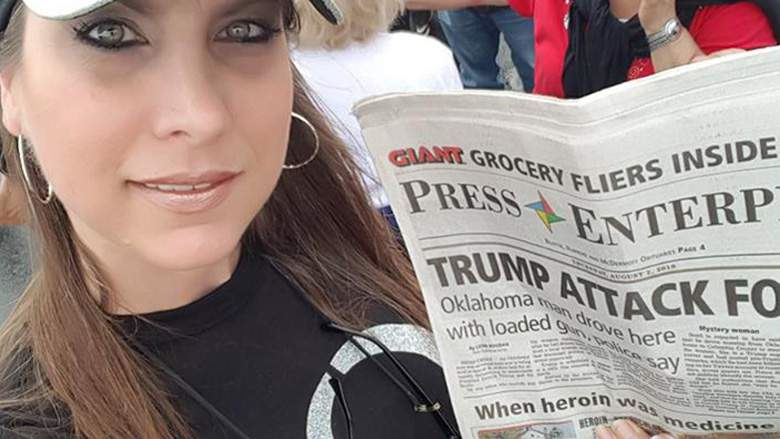 On 2 August, this report further details, FSB analysts became further intrigued about Kate Mazzochetti when reports began to emerge that she had singlehandedly exposed an assignation plot against President Trump due to take place during his rally in Wilkes-Barre—with the assassin she had alerted police officials about being Jeffrey Boyd of Tulsa, Oklahoma—and who had told Kate that that the CIA was doing tests on him and he was hearing voices in his head telling him to kill President Trump and his family—and as Kate herself described in an interview. 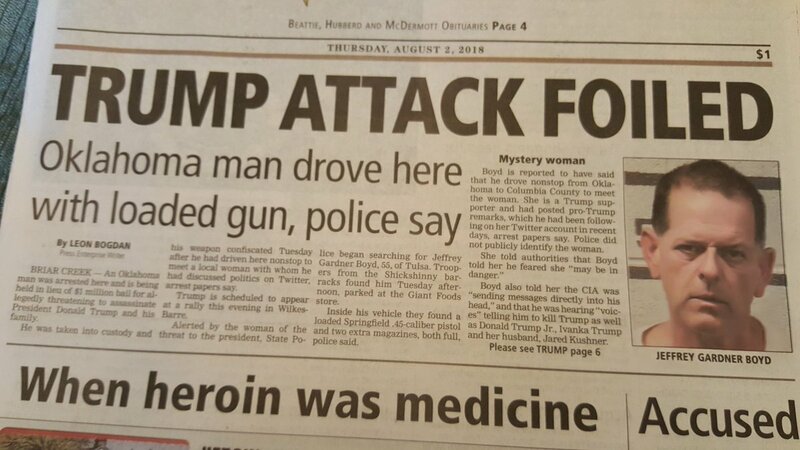 In Kate Mazzochetti describing her “association/relationship” with would be Trump assassin Jeffrey Boyd, this report notes, she claims that he unexpectedly showed up at her home in Pennsylvania after he had secretly tracked her down and traveled from Oklahoma to meet—but whose account of their meeting begins to make no sense after she says that she agreed to have lunch with this 55-year-old stranger—that no young woman of sane mind today would ever allow to happen with a stalker, with their most logical action being to call police authorities. With Kate Mazzochetti, however, voicing her wish that for her aiding in the capture of assassin Jeffrey Boyd she would be invited to personally meet President Trump, this report concludes, the most logical hypothesis FSB analysts are working on regarding this matter states that she is a part of a “Deep State” aligned CIA assassination hit team “activated” by FBI Counterintelligence Chief Peter Strzok displaying her name “Kate” during his US Congress hearing—and who used the mind “altered/controlled” CIA “stooge” Jeffrey Boyd to get close to President Trump—and during whose personal contact with Trump, or a member of his family, would see Kate using contact poison to kill them—that, of course, would be blamed on Russia—whom The Guardian set the preface for by their lying that a Russian agent had infiltrated the most secret presidential security details of the Secret Service—and everyone “knowing” the fairy tale that Russia uses poison in their assassinations—but whose true masterminds of, as is well known, will never be brought to account for their crimes. August 4, 2018 © EU and US all rights reserved. Permission to use this report in its entirety is granted under the condition it is linked back to its original source at WhatDoesItMean.Com. Freebase content licensed under CC-BY and GFDL.